Shawanda holds an MBA in Health Care Administration from Wilmington University and currently pursuing a Master’s in Theology with Fuller Theological Seminary. She is the proud mother of one very special son. In addition to being a mother, a veteran, and full-time student, she also has a blog, “Fresh Manna” where she offers prayers, wisdom, and prophetic instruction on some of the most pressing issues in society today. Fresh Manna’s mission is to not only to nourish the soul of the lost, and replenish those who have accepted Jesus into their hearts but build the next generation of God’s leaders. 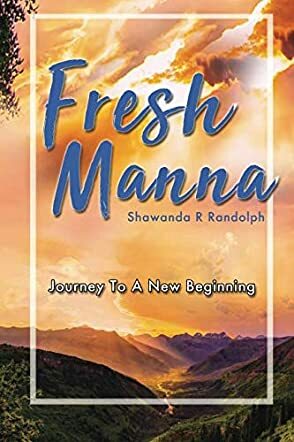 Fresh Manna: A 40 Day Journey To Your Promise and New Beginning With God by Shawanda R. Randolph is a meditation journal that will take readers on a 40 day journey where they can discover their identity in God and begin to live in covenant with Him. The book speaks about the power of God, takes everyone closer to God, and helps them to start building a powerful foundation which will assist them to meet the challenges of life. The tree of life is strong and reading this book will help everyone understand how God provides everything they need for the journey ahead. I like the way the author handles a relevant topic, by going deeper into God, giving insightful questions, scriptures, and quotes, which enable readers to strengthen their relationship with God. The book is good for all those who want to start their journey with God and do not know how to begin. The author helps readers take a good look at their children and see them through the eyes of the Creator, and helps them understand that children are gifts given by God and they truly belong to Him. I like reading books like this which enable me to ponder about God and take a journey into myself so that I can strengthen my bond with Him. Each day has something profound and interesting to tell readers which will make them align themselves to God’s ways instead of leaning on their own understanding.